receiver with new power, volume, and mute buttons. Just press and ask to easily find, launch, and control movies and TV shows. Enjoy stunning 4K Ultra HD streaming at up to 60fps. Experience the vivid, lifelike colors and exceptional clarity of Dolby Vision, HDR 10, HLG, and HDR10+. 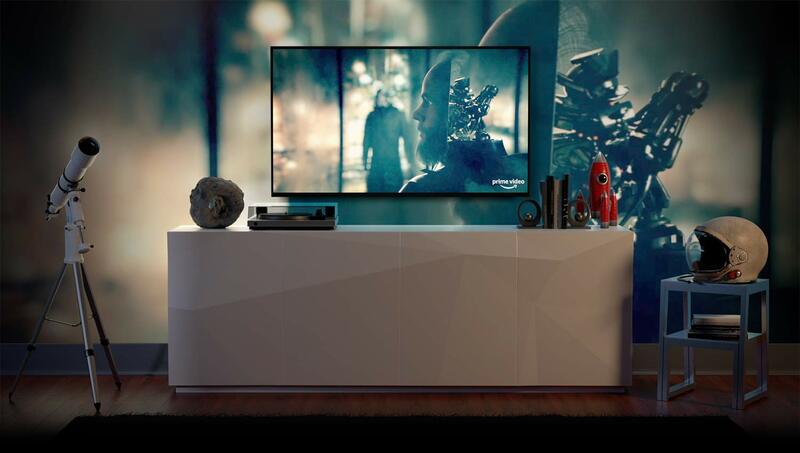 Feel scenes come to life with immersive Dolby Atmos audio when connected to compatible home audio systems. Choose from over 500,000 movies and TV episodes. Enjoy favorites from Netflix, Prime Video, Hulu, YouTube, STARZ, SHOWTIME, CBS All Access, and others. Stream live news, sports, and must-see shows, plus thousands of titles in brilliant 4K Ultra HD, HDR, HDR10+, or Dolby Vision. Listen to songs, playlists, live radio stations, and podcasts through services like Amazon Music, Spotify, and iHeartRadio. Enjoy tens of millions of songs ad-free with an Amazon Music Unlimited subscription. Subscription fees may apply. You only pay for the channels you want, and you can cancel anytime. Each channel starts with a free trial, so it’s easy to discover new favorites. Plus, stream millions of songs through Prime Music. Ask Alexa to view live camera feeds or control lights, thermostats, and other compatible smart home devices with your Alexa Voice Remote. Learn more about compatible smart home devices here. Wi-Fi Connectivity Dual-band, dual-antenna Wi-Fi (MIMO) for faster streaming and fewer dropped connections than standard Wi-Fi. Supports 802.11a/b/g/n/ac Wi-Fi networks. 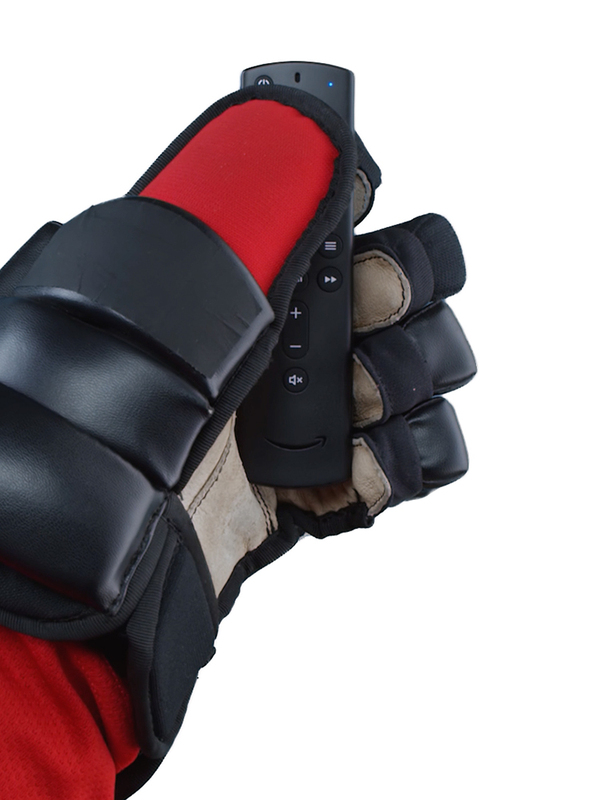 IR Device Control with included all-new Alexa Voice remote The included all-new Alexa Voice Remote can control the Fire TV Stick 4K and certain functions (such as power and volume) on a wide range of compatible IR-enabled devices, including TVs, sound bars and A/V receivers. Note: Certain functions may not be available on some IR-enabled devices. 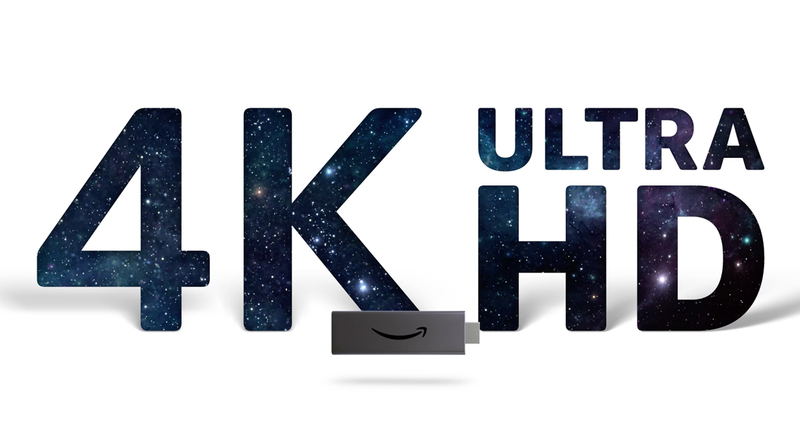 4K Support To watch movies and TV shows in 4K Ultra HD, you need a compatible Ultra HD TV. All services may not be available in 4K/HDR. Learn more. TV Compatibility TV must support minimum HDCP requirements for protected content playback. Compatible with 1) 4K ultra high-definition TVs with HDMI capable of 2160p at 24/25/30/50/60 Hz and HDCP 2.2 or 2) high-definition TVs with HDMI capable of 1080p or 720p at 50/60 Hz. Learn more. Warranty and Service 1-year limited warranty and service included. Optional 2-year and 3-year extended warranty available for U.S. customers sold separately. Use of Fire TV is subject to the terms found here. Regional Support Certain services may not be available outside the U.S. Accessibility Features VoiceView screen reader enables access to the vast majority of Fire TV features for users who are blind or visually impaired. Watch videos and TV shows with closed captioning displayed. Captions are not available for all content. Learn more.